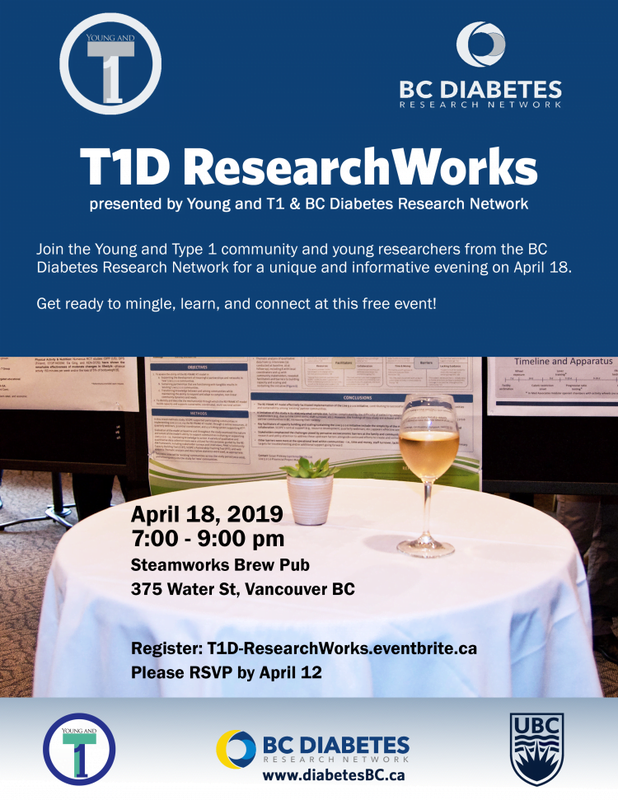 Join BC Diabetes Research Network & Young and Type 1 members for a special research poster reception showcasing diabetes research from across BC. Diabetes research trainees are invited to share their work with young people with type 1 diabetes and their friends and family. Connect and discuss the latest discoveries in diabetes research from across British Columbia. Note: All attendees must be over age 19 to attend. No tickets available at the door. Pre-registration required. This event is made possible through the support of the University of British Columbia’s Grants for Catalyzing Research Clusters.